Philadelphia is misunderstood, but it doesn’t have an inferiority complex. Other cities have a superiority complex. Philly is proudly stubborn, with conviction to its core. Exactly the kind of city Budweiser brews golden suds for. Sure, Philly is where freedom and cheesesteak were invented. The hometown of Rocky and Benjamin Franklin. But it’s more. It’s an art city, a music city, a food city, and a sports city. It’s a beer city. 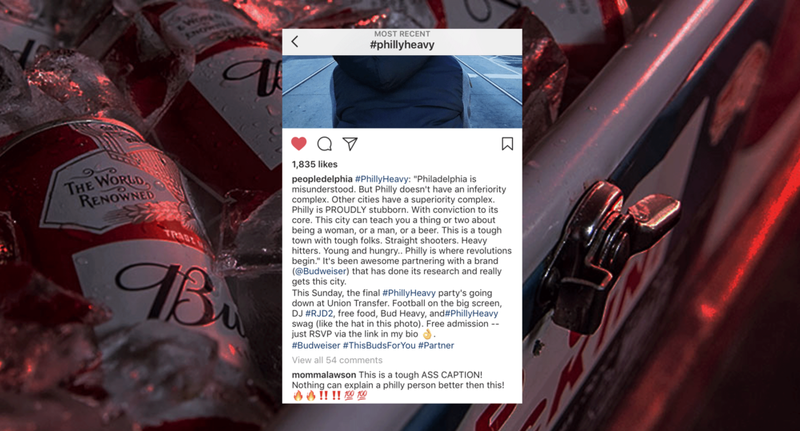 And Fall 2016, we celebrated all of it, by declaring Philadelphia the first Bud Heavy city in America. 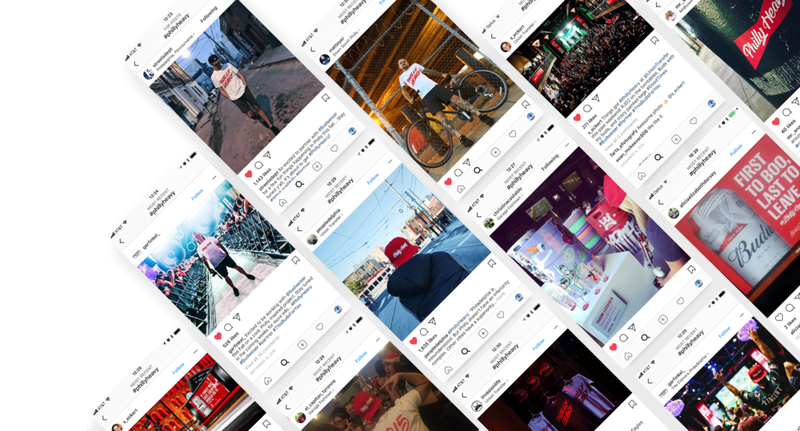 We wrote a love letter to the city of brotherly love and asked its ambassadors to share it to the people. but as a macro beer we took it on the chin and stood our ground as the bigger beer Continuing to celebrate philly’s diverse culture.